Paladin will be open on Monday, 12/24, but will be closed Christmas Day. Looking for a last minute stocking stuffer? Gift cards are great for that! Looking for a game gift, but not sure what to get? Ask our friendly and knowledgeable staff for suggestions based on age or interests. Fight for the Empire. Fight for the Rebellion. 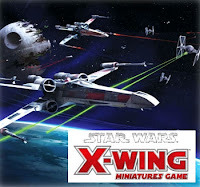 Top 6 places in this tournament will come out winners, with the grand prize being the new MILENNIUM FALCON model, not due to publically release until February. Other prizes include preview models of Slave I, A-Wings, and TIE Interceptors. 12 registrants so far. We will only accept up to 14. Entry fee: $10. Not sure what to get for those special people in your life? 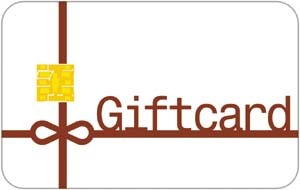 Celebrate with a reusable Gift Card from Paladin and let them choose what to get later. Or, have your special someone give us a Wish List. We will annotate what they want and you and others can come in any time to order - you can even call us to order (no need to come in). We will put their gift behind the counter for later pickup. Like last week, we had three new players (Justin, Myron, and Jeremy) join the adventuring party. Justin rolled a Dwarf Artificer, Myron an Elf Ranger, and Jeremy a[nother] Dragonborn Warlord. This week, we'll be continuing our adventure on Friday (2012.12.14) at the regular time of 1300-1500, with the following week moved to TBA date and time, and returning to the regular schedule after that. This week we had three new players (Justin, Shawn, and Josh) [don't forget to sign-up on the calendar so I can get you updates] join in and complete the first session of War of Everlasting Darkness. Justin rolled a Dragonborn Sorceror, Shawn a Human Fighter, and Josh a Tiefling Warlock. Their might combined to see their way through quite an adventure. We are moving the adventuring time to Sundays (1300-1500) from now on to better fit the schedules of the players and the store. And we'll be playing straight through until the start up of the next season, Against the Cult of Chaos. For which I'll have some documentation on the new character creation and rules used in DnDNext for us all to play with.